Project Perfect Mod :: View topic - The Second Tiberium War 2.0 Release! The Second Tiberium War 2.0 Release! Posted: Thu Oct 18, 2018 4:27 pm Post subject: The Second Tiberium War 2.0 Release! The Second Tiberium War version 2.0 is Released! The Second Tiberium War is a game play modification that features large improvements to Command & Conquer Tiberian Sun including new units, maps, veteran upgrades, faster game play, difficult AI, audio effects, improved cameo's, and all built upon the new Tiberian Sun client. - From the menu's to individual units themselves, many aspects of the game have received overhauls to graphic fidelity. Unit icons were improved by making them clearer to distinguish from others, being able to pinpoint what your looking for in the midst of battle. - A review at the unit roster lead me to enhance many units and bring many new ones to the table. Both GDI and Nod both received new infantry, vehicles, and structures to enhance the game play experience. Each and every unit has been changed in some way to play a unique role in combat or utility. The Mammoth MKII fell over after the banshee attack and the Cyborg commando went swimming and sank to the bottom of the sea, so new super units are needed. GDI has sent Commander Vega to the battlefield to wreck havoc in a heavy armored battle suit with his ammunition changing enhanced rifle cannon . The battlefield for the Brotherhood has now been graced the the Daughter of Kane himself, Ankha. The Tiberium enhanced assassin is the fastest infantry on the field. Sporting a personal cloaking device and armed with a devastating rail rifle that can be used effectively against all enemies including aircraft. - Each structure now has a unique audio effect when selected including some vehicles and infantry. Such effects are the bubbling of tiberium from the refinery or the hydraulic footsteps of the titan as it walks in the battlefield. - Your friends aren't always online to play a good internet game, so when they aren't you turn to bots to fill in the gaps but find them weak or just plain stupid. Not so here, AI now send strong task forces to destroy you and defend their own when attacked, you will think again before you touch that harvester. 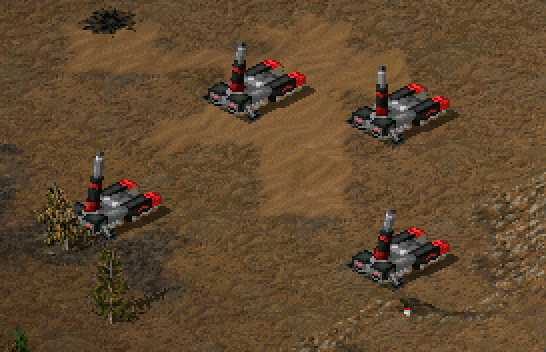 They also build sensor arrays and security towers so stealth rushes and air raids are less successful. In addition, the new Tiberian Sun Client allows for an even greater level of difficulty with an additional "Brutal AI" option which makes the AI opponent nearly impossible to defeat if you seek the challenge. - Many multi player maps within Tiberian Sun and Firestorm were severely lacking detail and quality was begging for improvement. Scale also plays a large role to game play as the size of the maps and placement of base locations is pivotal to a smooth game play experience. The Second Tiberium War will feature a whole host of new maps with greatly improved detail, lighting, and scale as well as a few enhanced originals. Skirmish maps now feature two improved additions such as havoc wrecking Ion storms (S) and the presence of a third npc faction the Mutant Coalition (M). - The addition of a third NPC controlled faction, the Mutant Coalition, will spice up multiplayer maps making them feel like your playing a campaign mission with friends. The Mutant Coalition now has strongholds and a formidable army on your favorite multiplayer maps with rewards as this new faction greatly speeds up the veterancy of your units compared to ordinary combat. - The original veteran upgrades were poor and gave the upgraded units a minor addition to firepower or defense. Now all infantry and vehicles that are promoted to veteran or elite are given greatly improved stats including hit point regeneration, movement bonus, fire rate, and entirely new weapons with visuals and audio effects. 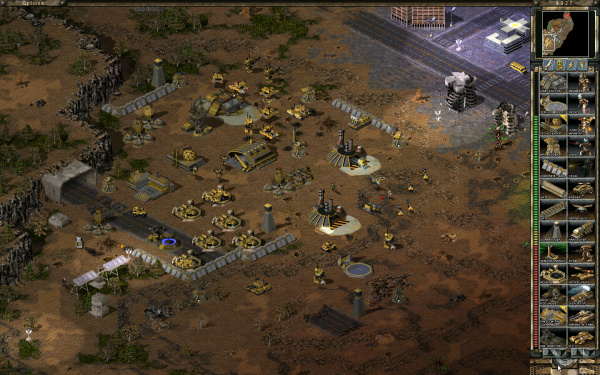 - Want to check out the game but don't have C&C Tiberian Sun? 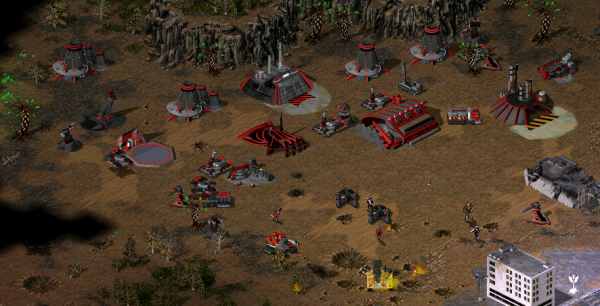 No problem, The Second Tiberium War is standalone meaning you don’t need any game installation to play. Just extract the game to wherever you choose and play with TiberianSun.exe . This a lightly modified clone of this announcement at The Second Tiberium War Forums at PPM.